Thanks to recent rains and some glorious days everything is growing lush and green… including the weeds. 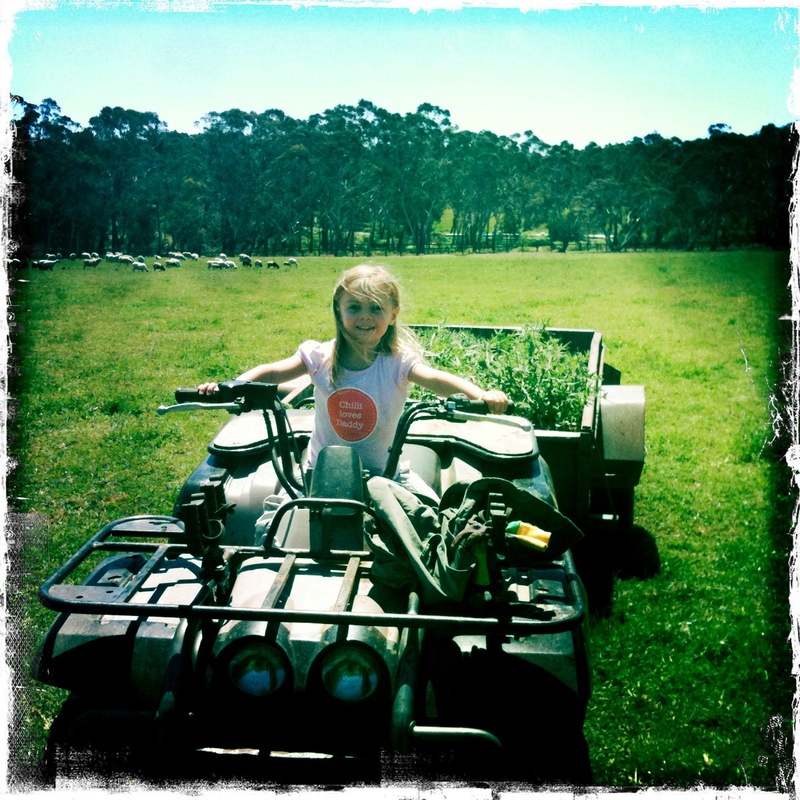 I spent the afternoon digging out thistles with my little helper Chilli. It looked like only a few in the paddock but once we got going we soon filled the trailer – got most of them before they flowered… must get onto the other paddocks when i have a minute! We have lots of lambs growing well. The ewes all look like they have their pants off after crutching last week!